Pittsburgh may be known for its Polish food with pierogies and haluski to be found everywhere. It may be known for its “Little Italy” in Bloomfield and the fierce pizza rivalry. There’s also the great concentration of high quality Asian food in Squirrel Hill. And then there’s the main point of Pittsburgh food-pride, the Primanti Brother’s sandwich topped with coleslaw and french fries. But what do you do if you want your French food to be more than just a sandwich topping? Let’s ignore that pomme frite is really a Belgian invention for a second and take a look at French eating in Pittsburgh. For the quaint French cafe experience, make your way to Paris 66 in East Liberty and enjoy regional dishes like duck confit and escargot. Walking into this intensely red building on Forbes Avenue in Squirrel Hill you’ll be mesmerized by the rainbow of over a dozens flavor of macarons followed by a gallery of artfully made cakes and tartes. Don’t forget to get one of their phenomenal baguettes for dinner and resist eating it on the way home. Come to this Oakland hotspot not just for the crepes and the Chanson music, but also for the French style ciders and beers. With locations in Lawrenceville and Mt. Lebanon, Pittsburghers are never too far from a pull-apart baguette and a raspberry tarte. 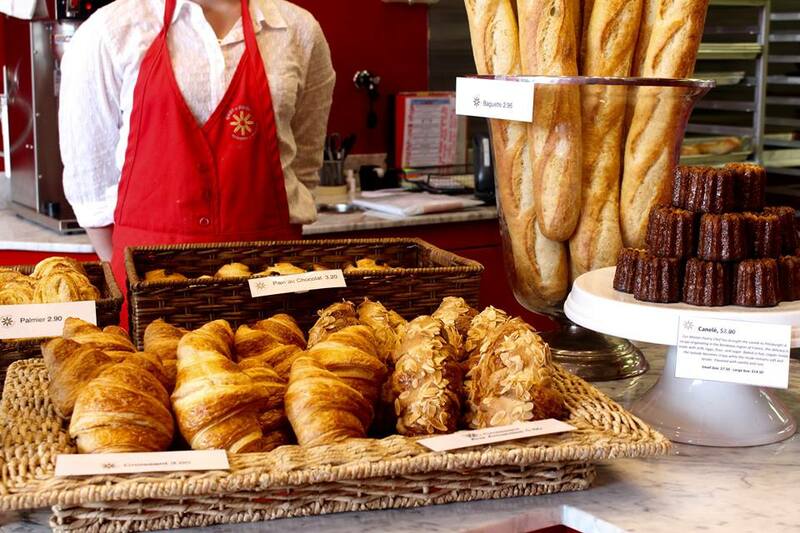 This Millvale spot provides you with all your french baked treats north of the Allegheny. Enjoy a wide variety of breakfast fare including strudel, palmier and savory pastries.